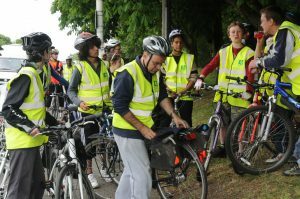 AHEAD Bike Ride in Pictures. 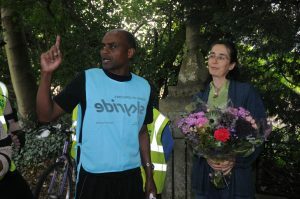 Elmfield Road, The finishing line and party time! Thinking about what her grandmother might have said had she been alive, Dr Pankhurst commented on the diversity of the assembled cyclists (age, gender, nationalities) who had all come together to support a common cause – raising money for a disadvantaged community. 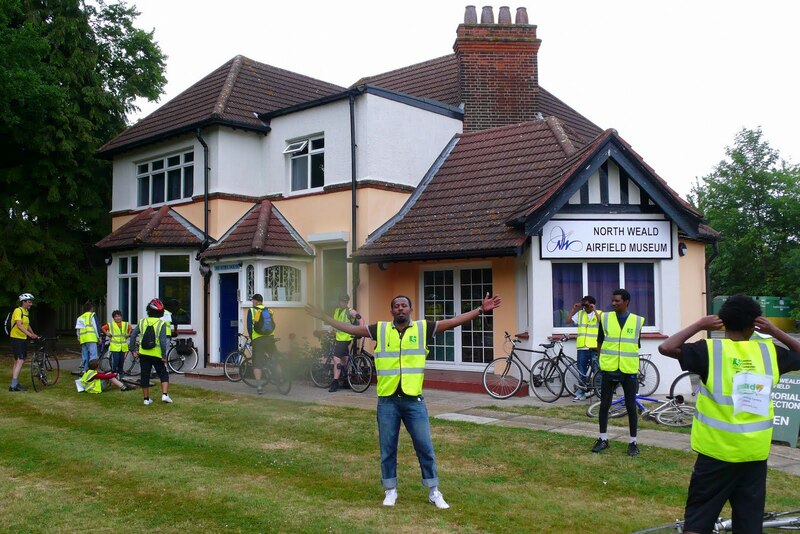 As the speech over finished and followed by an ovation, the first group of cyclists returned to Walthamstow whilst others went on to High Beach and North Weald Bassett Airfield the RAF museum, where they visited. 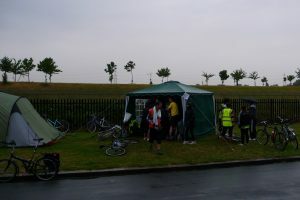 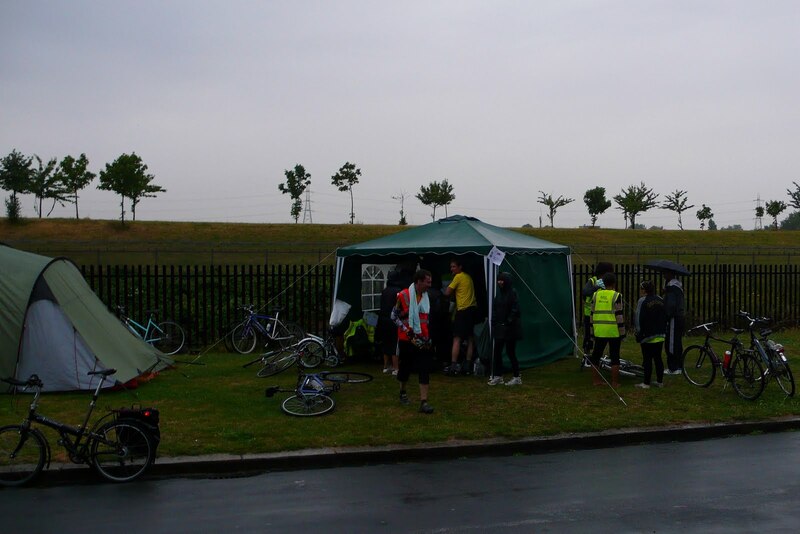 Heavy rain on the return journey failed to dampen the spirits of the determined cyclists who completed the full 40 mile ride. 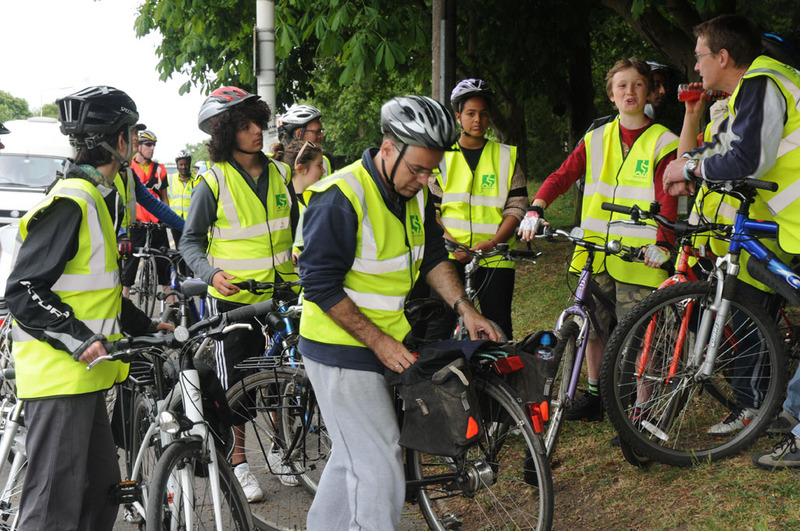 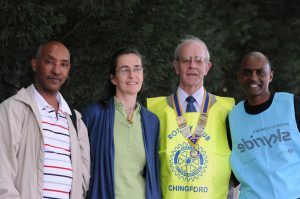 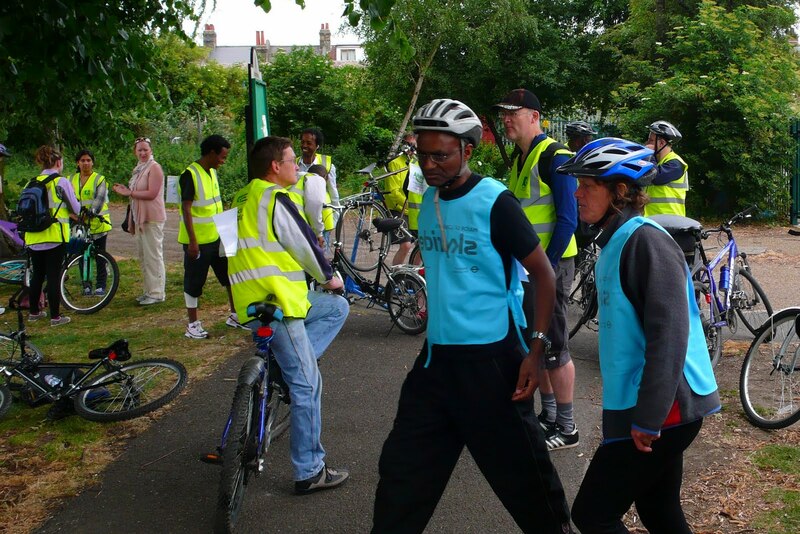 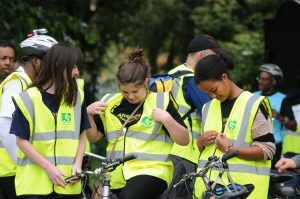 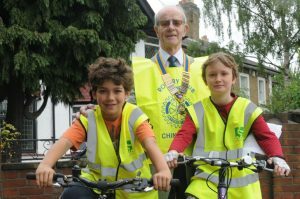 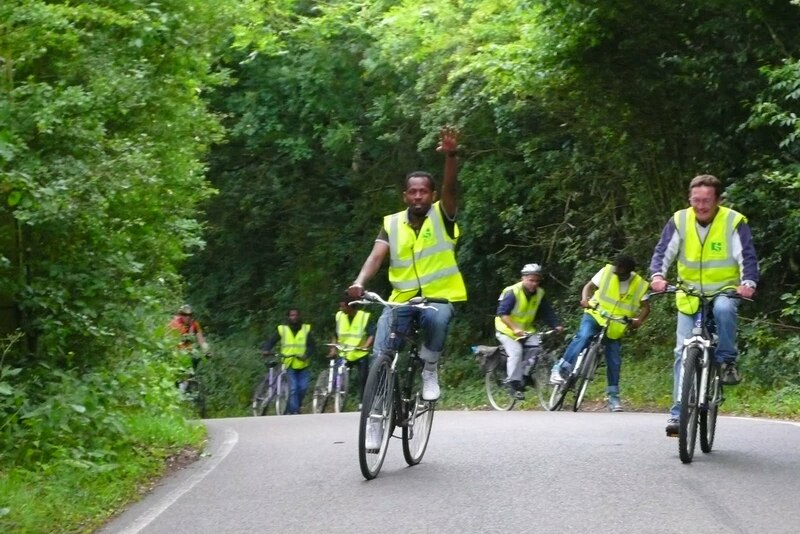 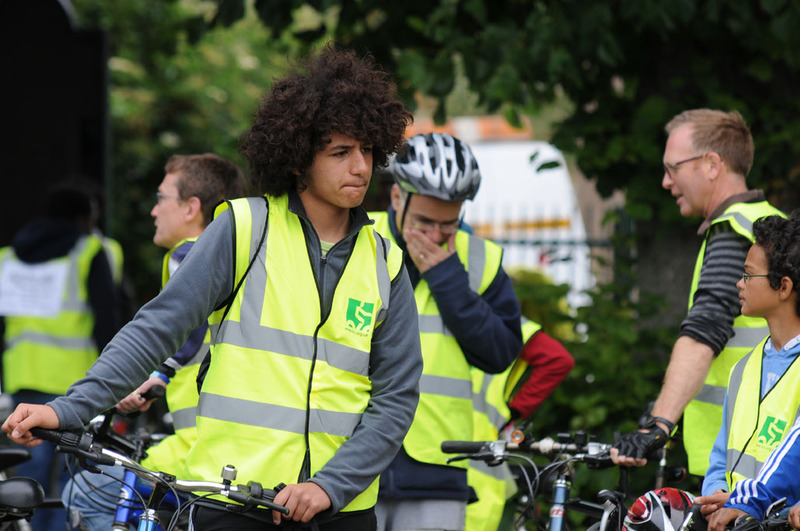 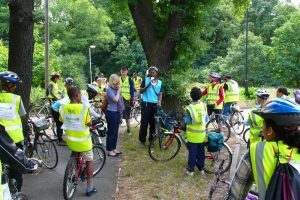 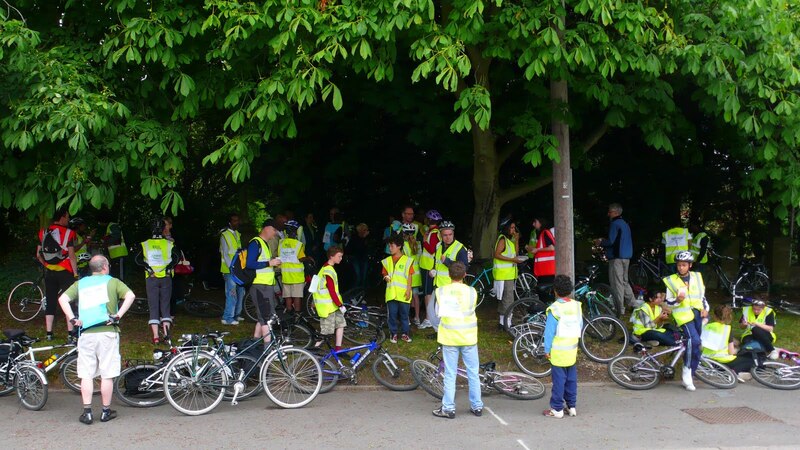 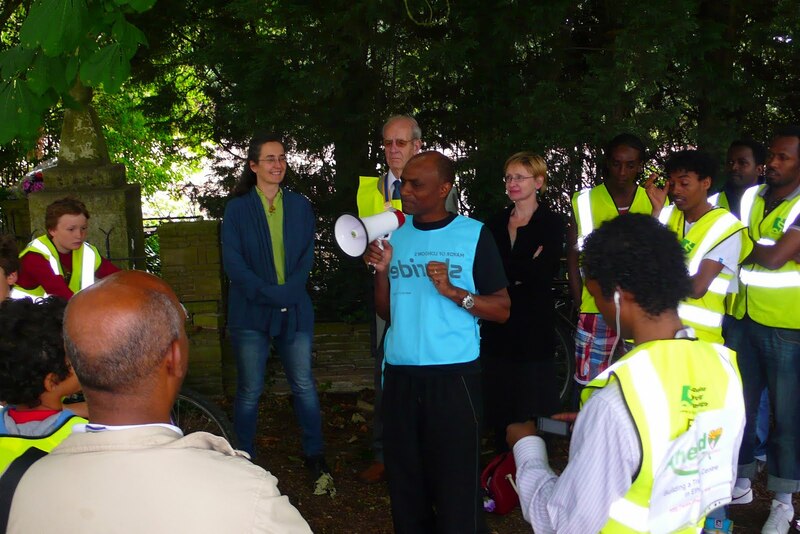 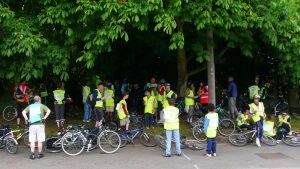 AHEAD is grateful to all cyclists, supporters, Walthamstow Cycling Campaign, Chingford Rotary Club, Susan Howard and Pedalpoint who contributed to the event’s immense success. To find out more about the charity and see highlights of the ride visit www.aheadcharity.org. 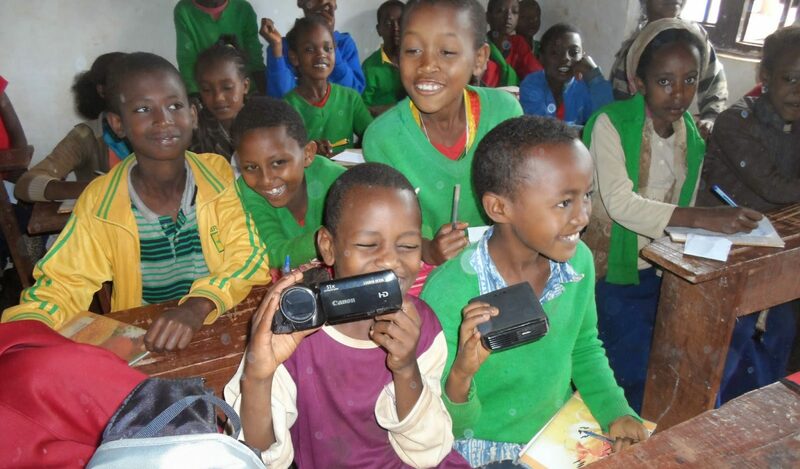 Donations to help meet the fundraising target still urgently needed.